Samurai Jack star Phil LaMarr discusses the series finale with Matt Bailey! On May 20th, Adult Swim will air the final episode of the cartoon, one of the most critically acclaimed animated shows ever. Samurai Jack show ran for four seasons on Cartoon Network, ending in 2004. Thirteen years later, Jack came Back! But, the show grew up with its audience. The 10-episode 5th season has been airing on Adult Swim since March. The slightly edgier return features a binge-worthy storyline that will hopefully satisfy the characters’ arcs when it airs its final episode tomorrow night. Earlier this week, Matt Bailey sat down with Samurai Jack himself, Phil LaMarr, to discuss the series’ legacy. They talk about how the show made the leap from Cartoon Network to the Adult Swim block. He also reveals what it has been like to return to his beloved character after so much time. Plus, LaMarr honors his late co-star, the iconic voice artist Mako, who played series villain Aku during its original run. 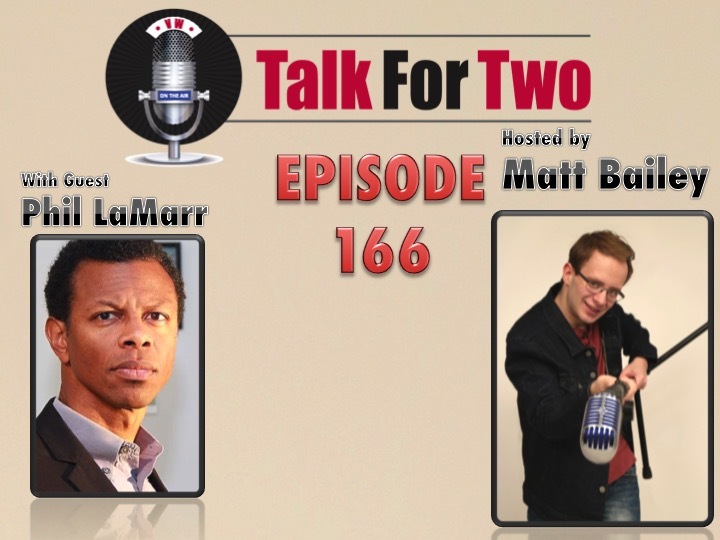 The pair also discuss one of Matt’s other favorite shows that LaMarr has been a part of: MADtv. The show-which he describes as the underdog of sketch comedy-ran for 14 seasons on FOX and garnered five Emmy wins. Watch the series finale of Samurai Jack tomorrow night, May 20th, at 11 PM Eastern on Adult Swim.